Discover & Play Piano Musical Toy is rated 3.7 out of 5 by 3. Music is a powerful instrument to keep babies entertained and engaged as they grow. 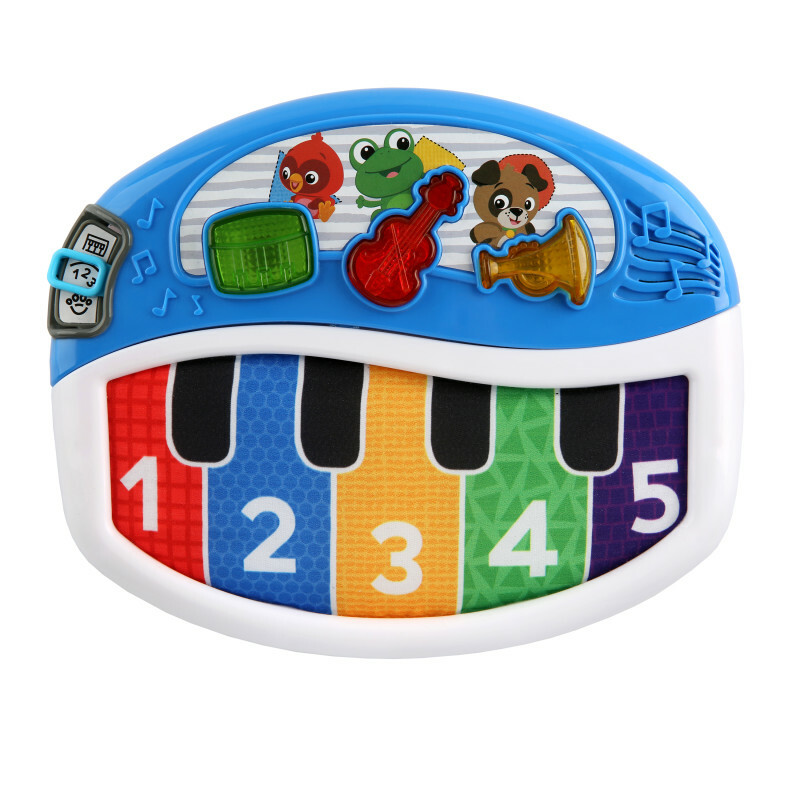 With the Baby Einstein Discover and Play Piano, babies can tap the soft-to-the-touch cloth piano keys to explore three discovery modes. In Instrument mode, your little one can listen to the sweet sounds made by a drum, violin or horn. With Numbers mode, each tap of the keys introduces the numbers one through five in English, Spanish and French. When switched to Animal discovery mode, your baby will love to chirp, woof and ribbit along with his musical animal friends. One of the most beloved Baby Einstein light up toys, this soft piano delights both musically and visually with lights that dance to the rhythm of the melodies. Dimension (in) 9" x 7.25" x 2.25"
Rated 1 out of 5 by KB from Broken It broke after 6m of limited use. Rated 5 out of 5 by Leslie h from Favorite!! This is one of my daughters favorite toys!! She loves the different sounds and pressing the different buttons!